Book in advance and get up to 12% off with a 3 nights minimum stay. Book directly on our website and get the best available daily rate and FREE Wifi internet connection! Pay cash and save 12% on the best available daily rate! No advance payment! The Demetra Hotel in Rome's center rises at the heart of the capital, near unique landmarks like Piazza della Repubblica, the Colosseum, the Baths of Diocletian and the Roman Forum. 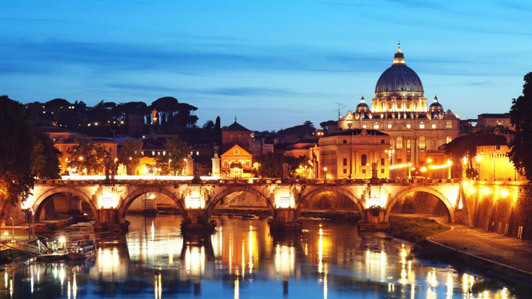 Demetra is located in an elegant historical building at the center of Rome, restored in order to create a modern, charming and comfortable facility. 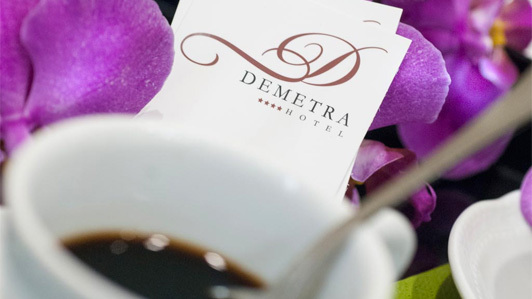 The Demetra Hotel in Rome counts with 27 rooms, available in various types including an unforgettable suite that ensure a relaxing stay, embellished by numerous amenities inside each one of them. 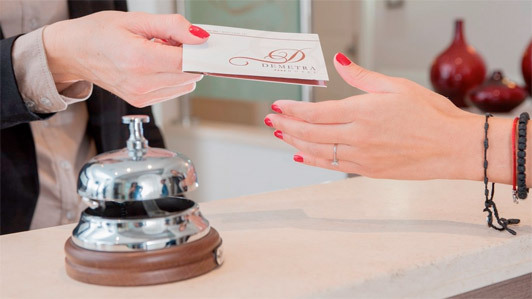 The Demetra proposes a series of services that will transform a regular vacation into a one of a kind experience. Bedrooms at the Demetra Hotel are both spacious and functional, they will welcome guests to a refined atmosphere, complete with Wi-Fi internet connection, autonomous air conditioning and heating, telephone landline, satellite tv, minibar, private bathroom with a shower or a bathtub and a hair dryer. Scott House Hotel in Rome is located in the central Via Gioberti, just a few meters far from Termini railway station. 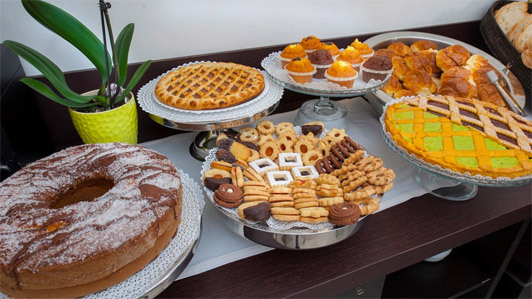 It's a modern and elegant 3 stars hotel, providing a welcoming and familiar air to young people, families, and all those who are looking for an amazing journey in the city since over 20 years ago. Recently renovated, the absolutely unique atmosphere of Scott House is due to its location on the 4th and 5th floor of a historic building dating back to the end of 1800s.